Chewy Egg Free Fudge Brownies – Making brownies without eggs was fun, it was my second attempt at making eggless brownies. I didn’t want this recipe to fail, I really didn’t! I know that some of my readers are allergic to eggs, LOVE chocolate, and want more egg free goodies. Watch the Video! I have a good news and a bad one, let’s be positive and start with the good news. The brownies came out perfect! No bitter aftertaste, perfectly sweet, chewy, it is an explosion of chocolate flavor. 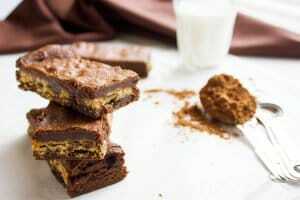 The crunch from the walnuts took it to another level, this chewy egg free fudge brownies recipe is to keep forever. I promise, that every bite you take will just provoke you to have more, and that will take us to the bad news! Making Chewy Egg Free Fudge Brownies. The bad news is that you may not stop. 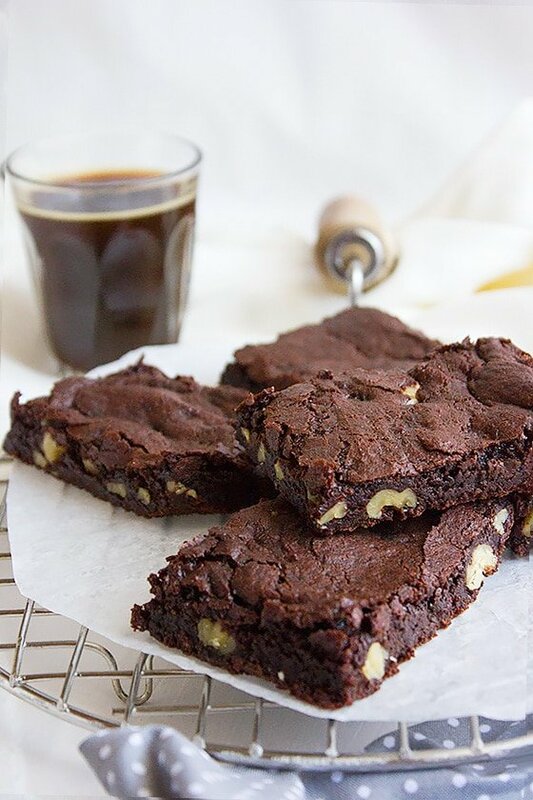 These brownies are so delicious and light, you will end up eating more than you think you can. My tip is not to have anything with it, and I mean, please keep that glass of milk far away, since sipping milk after few bites will tempt you to reach for more. 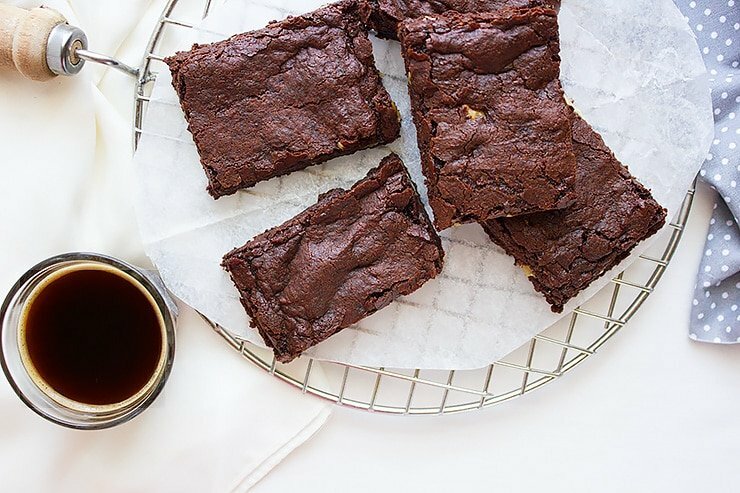 To make these homemade brownies without eggs you have to add apple, sugar, melted chocolate with butter and a tablespoon of water in a blender. Pour the smooth mixture to the dry ingredients, then add the walnuts, stir well, and that’s it. I guess we spoke enough about these chewy egg free fudge brownies and it’s time to make some. 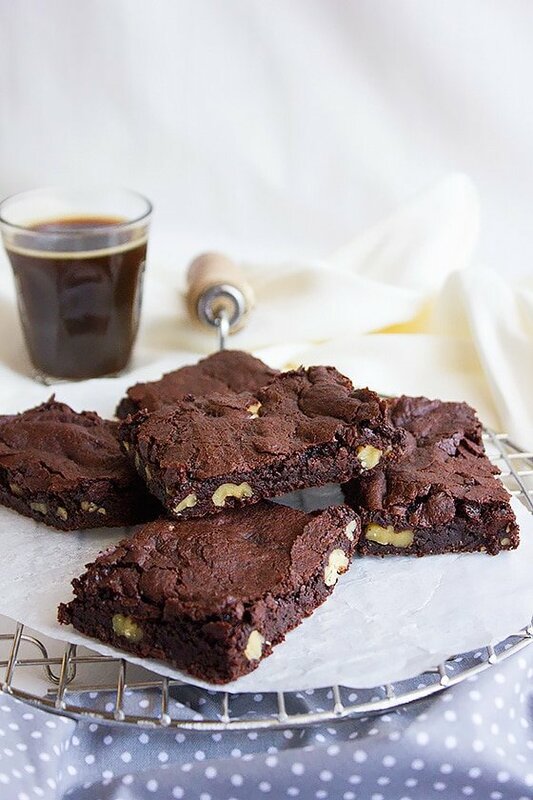 Chewy and fudge-like egg free brownies. 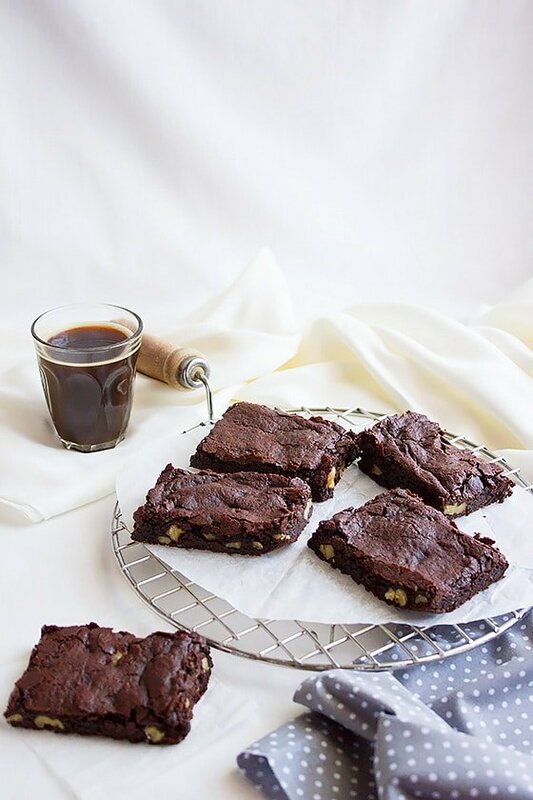 You will never miss the eggs but will enjoy the delicious brownie with walnuts to add so crunch. Pre-heat oven to 350F/180C. Line 8x8” square baking pan with foil. Grease and flour. Keep aside. Sift together the flour, salt, baking powder, unsweetened cocoa powder and keep aside. In a microwavable bowl, add butter and semi-sweet chocolate chips. Microwave for 20 seconds then stir, do this two times or until the chocolate chips are melted. In a blender, add sugar, chopped apple, melted chocolate chips with butter (after it cools), vanilla, and water. Blend until smooth in texture. Add the previous mixture to flour and gently mix (for few seconds). Pour batter in baking pan. Bake for 30 minutes, or until a toothpick inserted in the middle comes out with few crumbs. Place the brownie pan on a wire rack and allow the brownies to cool in the pan for 5 minutes. Take the brownies out of the pan, by holding the edges of the foil, place it on the wire rack while still in foil. When completely cool, refrigerate for few minutes before cutting. This step will give you a clean cut. Indeed very moist and beautiful..they turned out just perfect, Muna. 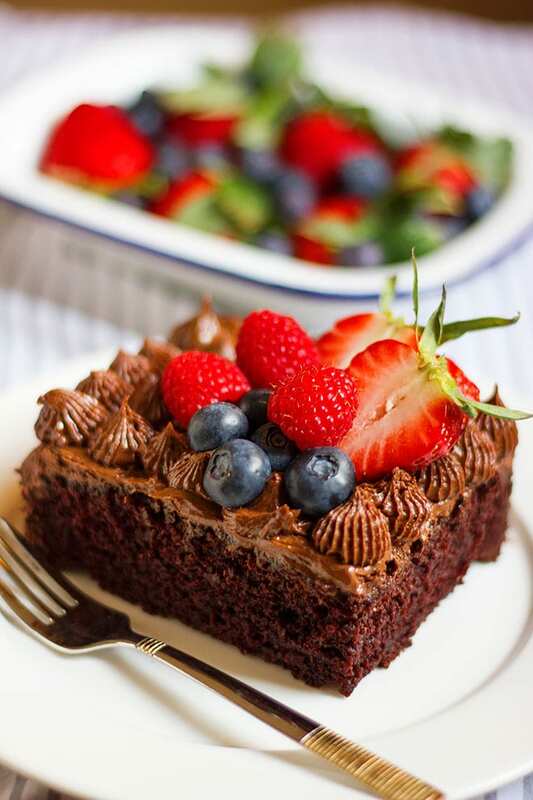 I want to use chocolate powder fully instead of part chocolate chips and part chic powder. How much should I use? Hi Lakshmi, I’m sorry but I never made this recipe without using chocolate chips. 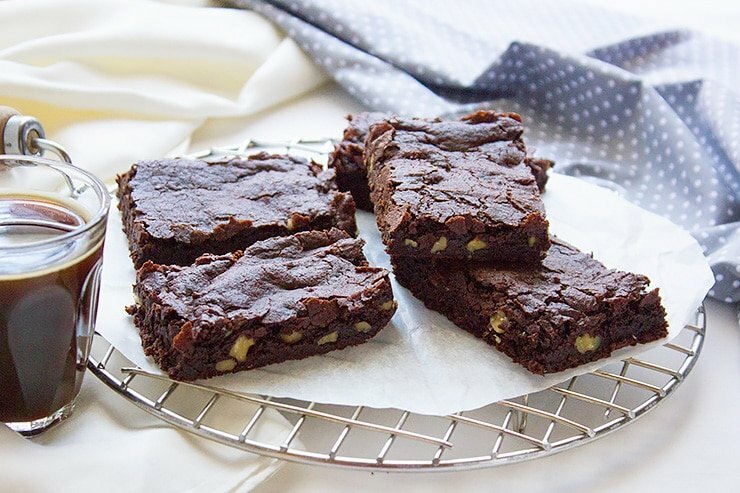 Chocolate Chips actually gives the brownies that fudgy taste and texture. Don’t want to stumble on details, but could you tell me if the ‘chopped apple’ has to be peeled or with the skin!? Will try these as soon as I know for the apple! Hi Isabelle, yes the apple should be peeled. Hi..wanted to know the measurements in grams for all the cup measurements.also want to know if we have to use the boiled apple or raw diced apples. Really loved the recipe! It turned out so well..chewy , chocolatey and so yummy !! And it’s so easy to make! Hi, I made these brownies n believe me they were the best brownies tht I have ever made??? ?I m making this for my son’s 2nd birthday. Would like to request u to just give gram measurements for ur recipes. Thanking u in advance. Can we substitute all purpose flour with wholewheat flour? Would the recipe need some alterations in that way? Hi, I’m not sure if it will taste the same, it might come out dry. Hi what can i use instead of apple sauce without changing the outcome? I have made egg free brownies using banana, so you can try to use it instead of apple but there will be a mild smell and taste of banana. Wanted to make a batch of brownies for a friend who has a severe egg allergy and I’m so glad I chanced upon this recipe. Its perfect! Followed all the instructions to the tee and the brownies turned out gooey fudgy and perfect just as described. They were not too sweet and the top was perfectly crispy and glazed which was amazing considering the absence of any egg. In my oven it took me 25 mins. Thanks Muna! Do you think these would freeze well? Catering for a high tea and trying to get some done to limit on the day cooking.. These brownies should freeze well but you have to wrap it in a plastic wrap and then with a foil. It can keep up to two months. To thaw bring out of the freezer and let it come to room temp before serving. Hi, what sort of apple would you suggest? Randomly found your eggless brownies recipes. So cool! I want to asking. Is it okay if only blend the chopped apple etc. 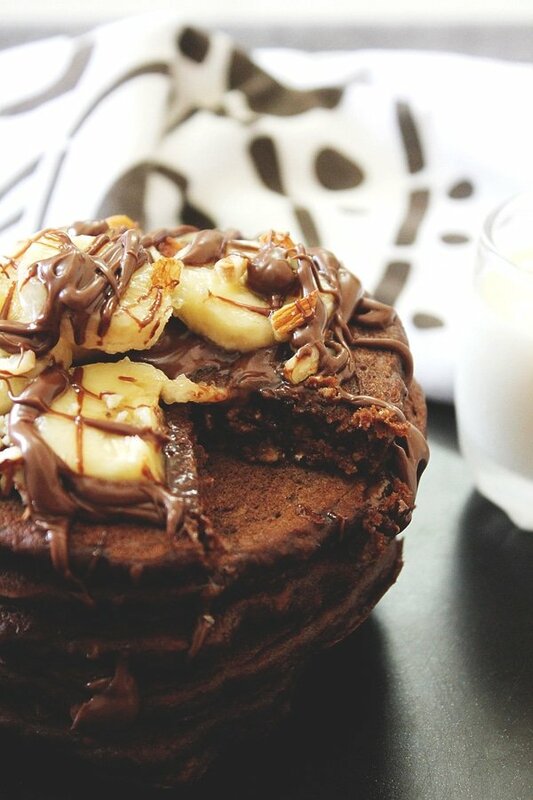 without mix with the melted chocolate chips? Just Keep aside the melted choc chips. And I’m usually use a button dark choc instead of choc chips. 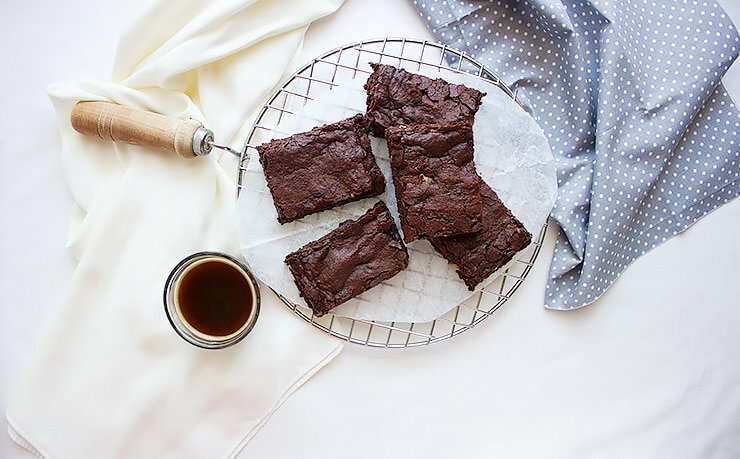 Is it turned out well for this egg free brownies? So glad find this recipes. Need to try this later. Thank you! Hi Madiha, I’m not sure I understood the first part of your question, but as long as you are going to blend the ingredients together, I think it’s fine to blend the apple without adding the rest of the ingredients to it. Finally an amazing eggless recipe! I hate the thought of eating eggs and they’re so so pricey for what they are. Do you think the apple is a key ingredient or can you leave it out?